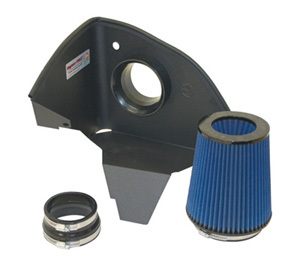 Increase horsepower and torque on your BMW E39 525i/528i/530i/540i with an aFe Cold Air Intake system. 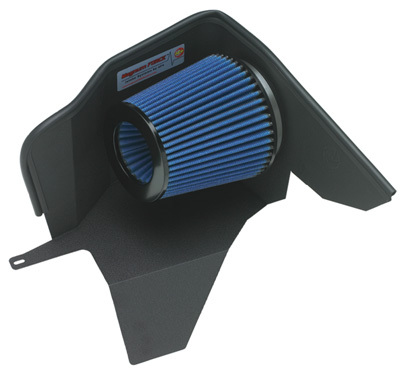 Adding the aFe Cold Air Intake to your BMW E39 5 Series is one of the easiest and most cost effective performance upgrades you can do for your vehicle. This intake system improves airflow to your I6 or V8 engine to allow for horsepower and torque gains throughout the RPM range with no other modifications required. Other than power gains many users notice gains in fuel economy when they are not on the throttle. Additionally - Save hundreds over your vehicle's lifetime as all the filters included with aFe Stage 1 Intake E39 are washable and can be reused. AFE filters are constructed from 100% polyurethane which makes them very durable, and resistant to high temperatures and chemicals. The construction of the pleats in the filter is deeper than that of any other filter, this provides for an increased flow and prevents a greater amount of dust from reaching your engine. The Pro 5R filter uses a special oil whereas the Pro Dry S does not.